If you want your pool coping to have a unique look that stands out beautifully from the surrounding area, stone is usually the way to go. There are several types of stone that you may use for your pool coping, so you can achieve just about any look with stone coping. For example, if you want your stone coping to have a silvery sheen to it, you can opt for pool coping made of silvermist flagstone. Sandstone is a choice that often comes in more than one color, and it’s resistant to collecting dirt and water. Travertine usually comes in more subtle earth tones, and it’s a great choice if you want your pool coping to be highly slip-resistant and durable. These are just a few of the many stone types and colors that you can choose for your stone pool coping. Brick is a great option if your house is made of brick and you want your coping to complement your home’s look. However, it can also stand out well on its own. Brick is available in a wide range of colors, so you can pretty much achieve any look you want if you opt for brick pool coping. It’s especially good if you’re going with a rustic look for your pool area. In addition, brick is highly durable, so this kind of coping will last a long time. Travertine coping is the best option if you want your pool coping to match your pool deck because pavers are the best material for pool decks. Just like brick, pavers can be just about any color. In addition, they’re incredibly durable and can be made to look just like a wide variety of stone and brick types. And if one of the pavers does manage to break, it’s easy to replace the one individual piece. Poured concrete is poured on site and may extend over the edge of the water. It will generally be found in long strips that extend the entire length of the pool. It’s important to note that poured concrete is not recommended for areas such as Texas that have clay soils. The shifting of the soil will likely cause poured concrete coping to crack in a very short time. Even if your area doesn’t have clay soils, poured concrete coping is likely to crack more quickly than most other types of pool coping – unless it is poured separately, in which case it is a good option. Precast concrete comes in pre-formed sections that are installed similar to pavers, stone, or other kinds of pool coping. This kind of concrete can be found in a wide range of designs, colors, and textures. Since it comes in sections rather than being poured in long strips on-site, precast concrete is less prone to cracking than poured concrete. However, concrete is still the most likely to crack the quickest out of all the pool coping types. 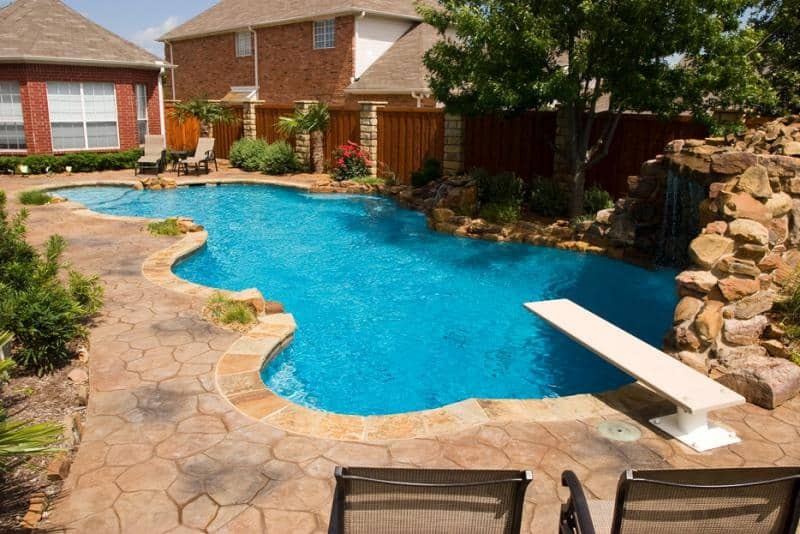 If you’re looking to get your pool coping remodeled or you want an entirely new pool, contact Summerhill Pools. Their pool building and design experts can help you decide on the perfect kind of coping to match the aesthetic that you’re looking to achieve.